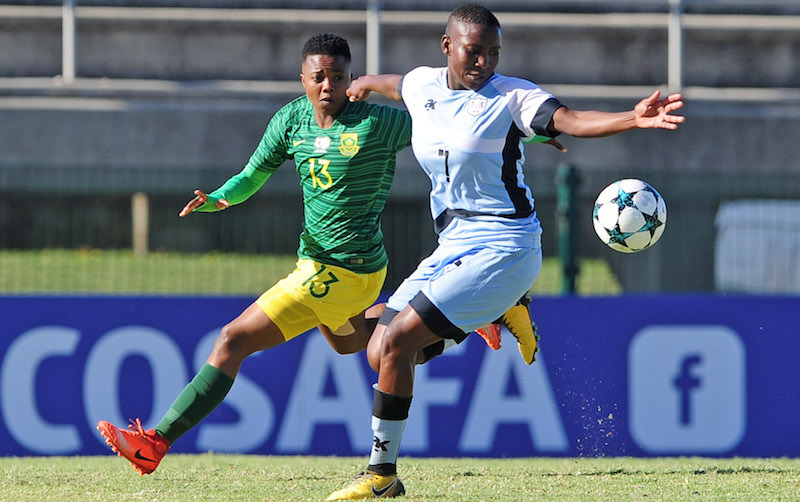 The Botswana Mares’ senior national team coach Gaoletlhoo ‘Ronaldoh’ Nkutlusang has named her final list of 23 players for the Tokyo 2020 Olympic Games qualifier against Namibia. The squad is a relatively youthful one with 10 players in the under-20 age-bracket making the cut. Six other players are under 23. The first leg will be played on Friday in Botswana and the return leg will be in Namibia on April 9. The winner between the two sides will face South Africa in the next round. The coach has revealed that she wants to qualify for this lucrative tournament as this will be her biggest achievement since taking over the side. Of the under 20 players, six featured in AUSC Region 5 Games which were held in Botswana last year December and organised by COSAFA. The Young Mares were runners up after being beaten by South Africa in the final. Gaoletlhoo’s team is boosted by the return of the lethal striker Thuto Ramafifi, who is now based in America at Salem University ,and also their finest goalkeeper Sedilame Bosija, who is plying her trade at Bloemfontein Celtic Ladies and also Thanda Mokgabo is playing in Zambia.